Definitely one of the most eye-catching tiny homes out there is this custom log home from KJE Tiny Homes! 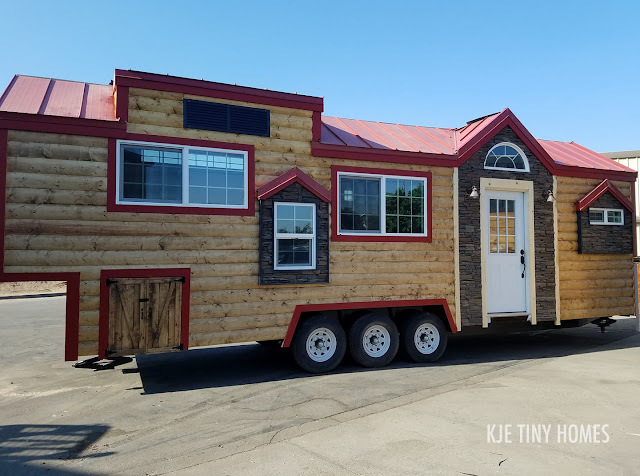 The home is pretty spacious in size- it measures 33.5’ long, 8.5’ wide, and weighs about 14,540 lbs. It’s built onto a triple-axle heavy duty trailer with brakes, making it suitable for travel on the road! 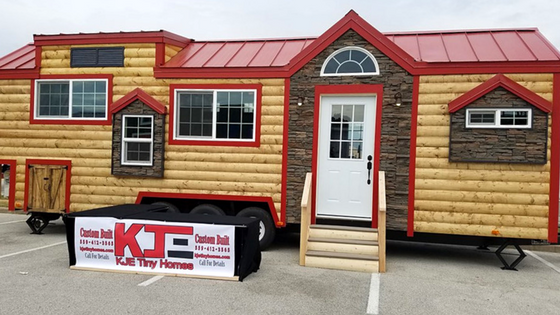 The home’s unique exterior is composed of log siding with GenStone accents and dormers, a red skyline metal roof, and comes well insulted! 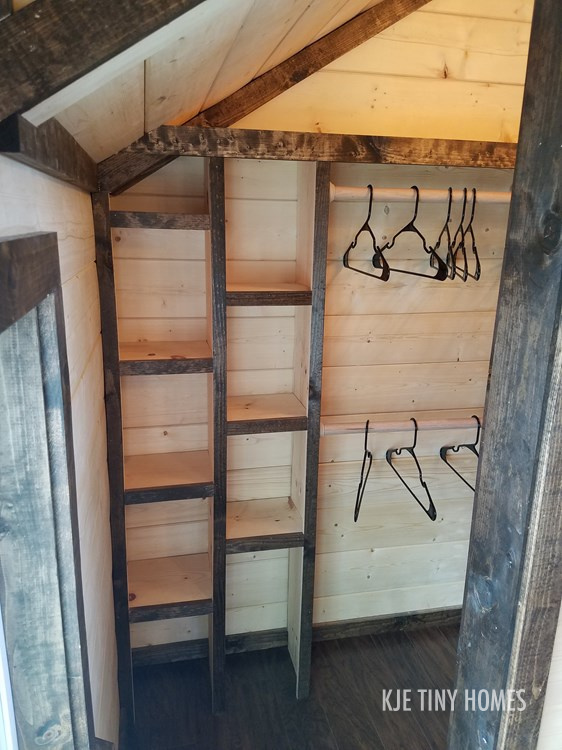 Inside the home is pine shiplap walls with Pergo flooring, and double pane windows. 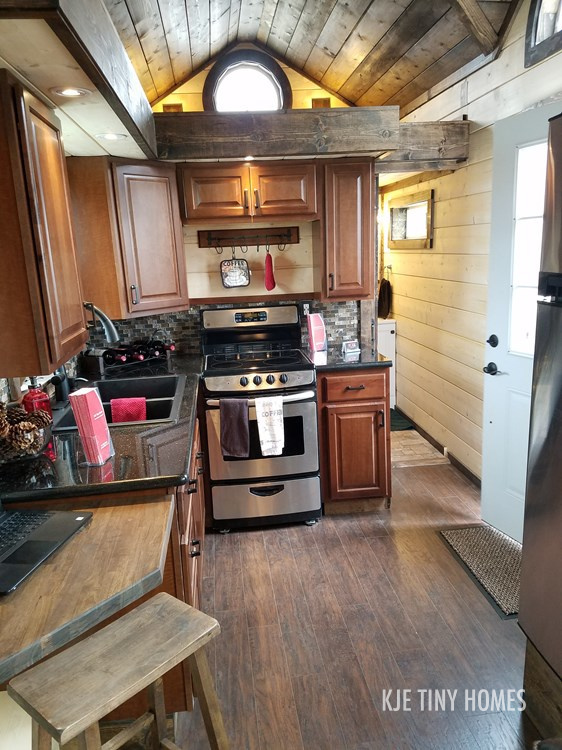 The kitchen comes equipped with cherry wood cabinets, black granite countertops, and stainless steel appliances including a fridge, electric range, and microwave. There’s also a breakfast bar that doubles as a work space as needed! 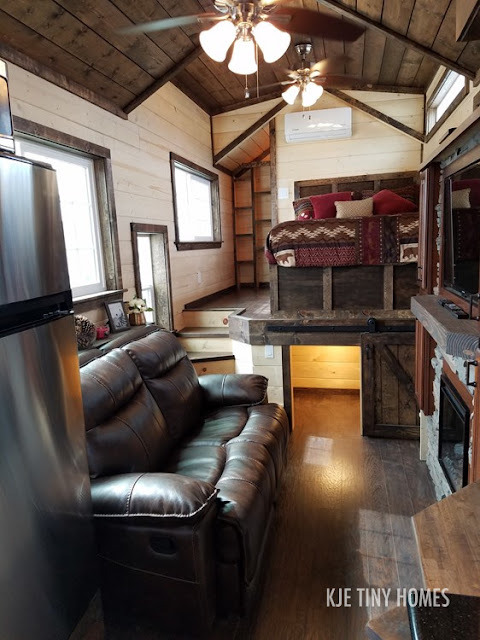 The living room is designed to be as cozy as possible with a reclining leather-style sofa, an electric fireplace, and a 42” LED TV on a swivel mount. 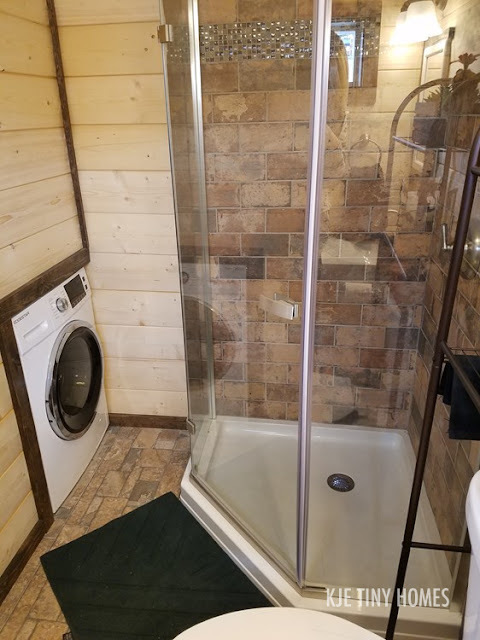 Also in the home is a loft bedroom with a full-size foam mattress, and a bathroom with a flushing toilet, 38” tile shower, and an 18” vanity. If you’re heading to the Tiny House Jamboree this weekend, this home will be available for viewing. It’s also currently available for sale for $81,000 here! 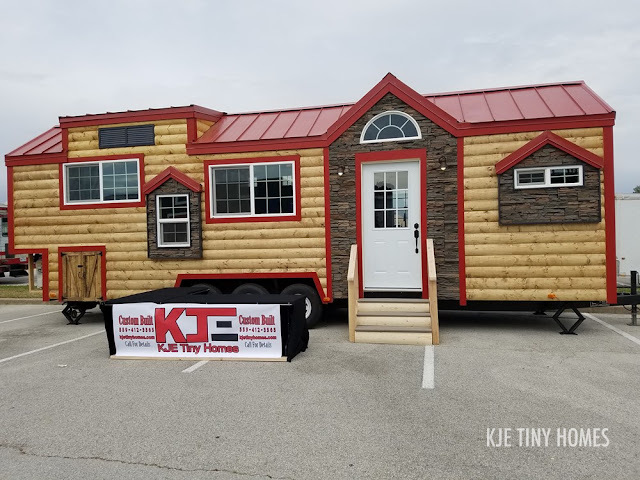 For more information and/or inquiries contact KJE Tiny Homes here!